Is It True That Homeschooling Make It Difficult To Socialize? Home » Parenting » Is It True That Homeschooling Make It Difficult To Socialize? Homeschooling or send the child home, often reaping criticism. One of them, namely concerning the development of the ability of socialization of children, because children are not considered making homeschooling have friends as much as in conventional schools. However, is it so? Research shows homeschooling children, still have the ability of socialization, which can be judged from the behaviors, values the dignity which he held, and motivations that are required to play an active role as a member of the community. Even from such research, the experience of socializing the child homeschooling belongs more than enough. On the other hand, the study found that the socialization that happens in school is not then guarantee a child will have the ability of socialization as good as the suspected person in General. A good socialization should be supported by the development of positive behaviors, such as respect for different opinions, sense of responsibility, self control and cooperation ability. 1. The child experiences a quality friendship in childhood. 2. Fewer behavioral problems or disorders during adolescence. 3. Openness to new experiences at the University. 4. Involvement in society when mature. However, that is no less important note is the role of parents in teaching children at home school socialization. 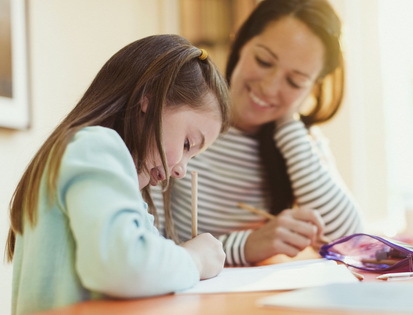 Compared to a classroom teacher, parents can play a role into more socializing agents know the child's needs and can have a reciprocal relationship with them? Based on studies, it was found that the ability of the social child homeschooling is generally developed in a moment that was not planned or spontaneous. Parents as primary socialization agents will make the child socialization into a simpler and more effective in the context of a relationship that is responsive and supportive. 1. Child's Home school experience can directly interact with an object or environment being studied, such as the museum, the public library. They can also be specific community volunteers in appropriate tasks or field they are studying. 2. Virtual worlds allow the child to continue to be able to interact with other children through electronic mail, text messaging, telephone, video, and social media. In this role or parental control is indispensable. Fellow parents who apply homeschooling can create groups, and then bring their children to be able to play and learn together, as in dance classes, swimming, or outdoor activities. 3. In the social life, the child's homeschooling can also join the local community in General, such as choir, religious activities, or group of sports such as football clubs. Socially, homeschooling can be a solution even for the children who experience bullying at school, and free from the pressures of peer group or social group which might make the child uncomfortable. Although he is known to have many benefits, parents should consider further before choosing homeschooling for kids. If the child is already big enough, involve children before deciding to home school or conventional schools. Remember that parents still play an important role in educating children. To ensure the child's psychological condition during her homeschooling, you can avail the facilities of child psychology consultation services at the nearest health services.